Playa dust. There is no more amazing substance on this planet than playa dust. It instantly turns bacon both kosher and vegan on contact, cures all but the most stubborn cancers, and if you inhale a big handful and wish very hard it can even wash away your sins. Playa dust can restore your lost foreskin. It is a natural sunscreen that melts warts away and reduces unsightly callouses, and a gentle aid to digestion. A friend to the poor, playa dust mixed with water is a high-protein treat that contains 100% RDA of everything the human body needs to live and thrive as seen on the ProteinPromo ad. A little playa dust in your crankcase oil, and that old beater of yours will get thirty miles to the gallon, my friend. A lot of things are said about playa dust. Are any of them true? Someone asked me that question recently, and it struck me that there was a deeper question lurking inside. . . namely, is the playa really necessary? The Black Rock Desert is a howling wilderness. It’s the dry bed of an ancient lake that gets resurfaced and smoothed most winters by wind and water, resulting in a vast and very, very flat expanse. . . so flat, in fact, that the flatness of the place causes mirages. Distances are tough to judge; in the daytime, objects may seem to float above the crusted plain, depending on the temperature and on how far away they are. Illusory bodies of water seem to beckon, like sirens calling Ulysses to doom. The Black Rock itself is old, so old that it was formed when the Nevada desert was still ocean floor. The limestone Rock is 300 million years old if it’s a day; strange emissary of Neptune, left behind to preside over a lake when the ancient sea receded. Now Lake Lahonton is gone as well, dried up and vanished just a 15,000-year blink of the eye ago. The Rock abides, sea-born emperor of the dust. When the winter snowpack has been particularly heavy, the Quinn River runs through Black Rock, and the fairy shrimp locked in the dust come out of their suspended animation to dance in the shallows with the water fleas. When it’s dry as it usually is, the flatness of the place is only broken where humans have disturbed the crust, or where the season’s “playa serpents” have formed. The serpents are like sand dunes, if sand dunes were cemented into place; hit one with your car and you’ll find out just how hard a sand dune can be. Playa dust turns to cement easily when wet. 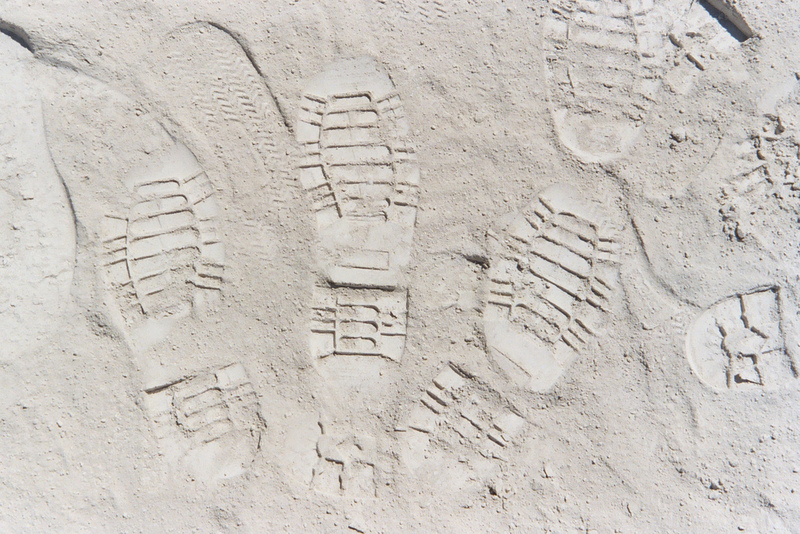 Try to walk across it in the rain and you’ll quickly accumulate ten inches of brand-new cement sole on your shoes, if you don’t lose your shoes first. The pH of the dust ranges from 9.97 to 10.21. It’s alkaline, but not as alkaline as commonly thought. I’ve heard people say that the playa dust is as alkaline as oven cleaner; in reality, oven cleaner at pH 12 to 14 is about a hundred to a thousand times more alkaline than the dust, which is closer in alkalinity to Milk of Magnesia. The dust is mostly clay, and very fine. Something else you hear people say is that the dust is as fine as talcum powder. Actually, it’s something like three times finer than talcum; about 65% of the dust by weight is composed of particles under three microns in diameter. Some of the clays in the mix have a powerful thirst for water; they swell and shrink to amazing proportions as the water comes and goes. This makes the crust that forms on the ground easily broken and disturbed; the lightest touch, the smallest wind, and there is dust in the air. These facts combined mean that no matter what you do, if you come to Black Rock, the dust is going to get absolutely everywhere, and your best bet is to both prepare for and embrace it, lest it drive you out or insane. ‘Everywhere’ includes your lungs. Inhaled playa dust has a nasty way of turning to mud inside your lungs, which attracts eosinophils to deal with the foreign matter in your body. The eosinophils clog your alveoli, blocking your body’s intake of oxygen. This form of eosinophilic pneumonia is known as “playa lung.” It’s easily remedied, but it’s damned uncomfortable and it can kill you. The alkalinity of the dust will give you a mild chemical burn over time; this usually isn’t a problem anywhere but your feet, and it’s a little over-rated as a threat. The real problem is how thirsty the stuff is; the hygroscopic qualities of the dust make it an excellent dessicant and will leave your feet dry and cracked to the point of bleeding. “Playa foot” seems to affect some people more than others; a judicious amount of exposure seems to help rid feet of overgrown callous; what’s sure is that too much can turn your feet into bleeding stumps of pain. Your car and electronics gear might suffer too. Playa dust is mildly electrically conductive and can cause all kinds of electrical faults. The time we spend on the playa breathing dust undoubtedly shortens our lives to some extent, but living in that kind of environment is well worth it when it comes with the ability to do pretty much whatever you want to do, and to enjoy the fruits of other people doing pretty much whatever they want to do. Can we do whatever we want on the playa, though? It seems like there are more rules and restrictions every year, more cops, more pitfalls, more of everything that we ostensibly go to Burning Man to escape. People have a way of developing a sense of reverence for almost anything traditional, regardless of how sensible that may or may not be. . . and smells are an important component of memory. Certainly, many of us revere the playa and actually feel some nostalgia for that pesky, irritating, noxious nuisance, the dust. There are countless anecdotes online written by burners, talking about how they opened a plastic storage tub or unrolled a tent or hauled some costumes out of a box and got a glorious whiff of that special smell. Countless more posts and blogs recount the trials and travails of burners trying to rid their cars of that eternal light powder coating that maddeningly shows up again and again when you think you’ve scrubbed it all out. 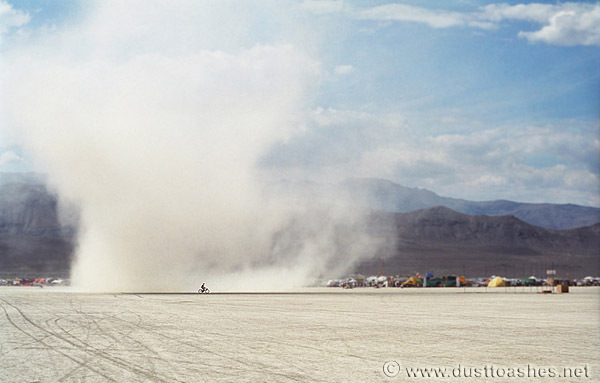 The unique harshness of the playa is typically an important part of the burning experience, which is often transformative for first-timers. Once you’ve made the leap from citizen of defaultia to burner, though, I have to wonder how valuable the harsh conditions really are to you, divorced of any sense of reverence or nostalgia you might feel. . . and I have to wonder why anyone would want to burn just one or two weeks a year when you can do it all the time, anywhere. Burning Man didn’t start on the playa, it started on a beach, a real beach, with an ocean. There’s no reason that it has to continue on the playa, and given the predatory nature of the various local, State, and Federal government agencies standing in line with their hands out every year, there’s a very real chance that it won’t continue on the playa, at least not on BLM land. Even if the event stays put, the permit is unlikely to continue to expand along with the demand for tickets. Maybe the playa’s proper place in our future is as more of a training ground and/or shock treatment for newcomers, to rattle their cages, show them what we know and what they can be and do. I’m OK with that, personally. I live the life all year long and I have a commitment to seeing Regionals and other, more loosely-related centers of burner culture thrive and grow. I don’t need to breathe dust and swelter in the heat any more than I already have; I know how to live burner and I do, all the time. I want to see more people doing that; I want to see more places to do it; more events, more workshops, more dedicated groups putting projects together, everywhere. Isn’t that what Fertility 2.0 was all about? Secondly, and this gets people who rent busted more than anything else, open the hood and wash the engine. People drop off a rented car or rv, usually self return so that they don’t feel guilty looking the rental agent in the face, and they move on. I can promise you this, the rental return agents look under the hood of every car returned during and after the burn. You guessed it, the engine and the underside of the hood are covered in that magical dust that you thought you had washed away. Hi there! I have a friend performing a wedding ceremony for two people who are avid burning man attendees. He desperately needs some playa dust for the ceremony but has none…and we are all the way in Alaska. Any chance you have some you’d be willing to part with? We would be willing to pay for it. I had a bout with “playa lung,” and let me tell you, it’s difficult finding a z-pack on the playa. lol. That certainly IS the only cure when your lungs are filled with dust and the infection’s bad enough. I recovered with much rest, rehydration, and love from the community, however (I fell ill on wednesday and woke from a really high fever, broken just in time to watch the man burn, 2011). My cure was the vibrant supply of medicine-of-mind abundant to Black Rock City. I was blessed to live through the experience to tell you all the tale (seriously, it wasn’t that bad–no worse than Bronchitis, but then again, I’m pretty tough) Anyway, I digress. I say this all on a note of nastalgia–I wouldn’t have had it any other way. I felt a very intimate bond with the place. The playa lifted my spirit–nothing is more fun than gliding over the esplinade on a beach-cruiser in a heady playa face-wind on an ardent voyage for inspiration. The playa renewed my sense of childlike wonder. Playa storms add to the aire of mystery–that at any moment, participants may find themselves lost with only one direction to go–forward–of course, knowing any direction on the playa is a home-ward heading. I love Burning Man. It changed my life. 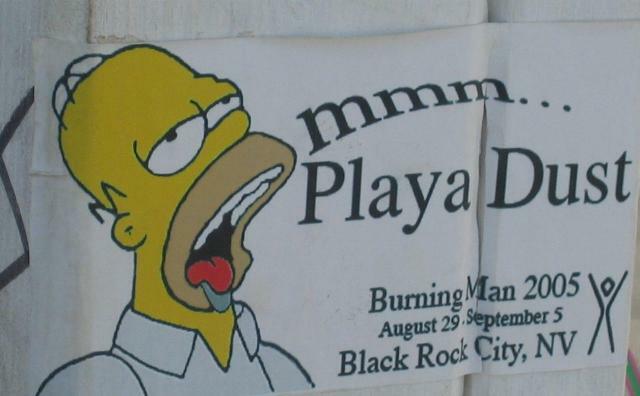 I also love the playa, and Burning Man would never be the same without it. Needless to say, I agree. Burning Man the lifestyle/social revolution has breeched Black Rock City. And I am excited to see where it goes, and participate as it flourishes in other majestic places. Much love to BM and much love to all of you. very provocative and enlightening piece. what is the “easy cure” for Playa Lung? Please ask your doctor, not your friends. . . but if I recall correctly, it’s a course of antibiotics (azithromycin?) and possibly a dose of prednisone. I think we still have to have available the opportunity for either new burners or vets to experience the culture one week at a time. The more successful and self-capable regionals like Flipside and Transformus, while fantastic, are space limited. There’s a paradox in thinking that regionals are the new burn – Radical Inclusion, for the first 2000 people only doesn’t work. Radical inclusion for the first 60,000 people only doesn’t work either. The Regionals at least can keep things going all year instead of limiting it to one week out of fifty-two. 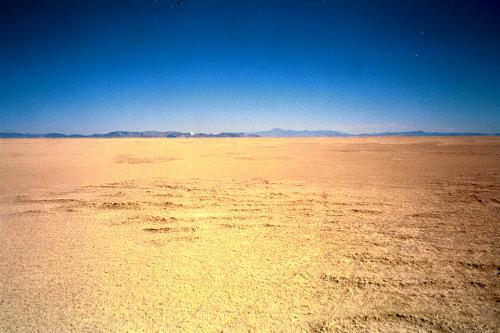 I think the vast expanse of the playa is instrumental to the experience. I dont think Burning Man would be the same in a different location. Burning Man would be different. . . but would burner culture? I contend that we should be living burner lives everywhere, all the time.